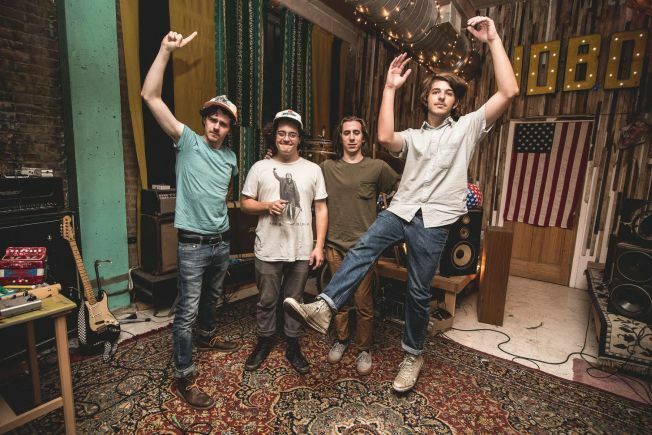 The Districts headline the Casbah Sunday night. Tonight feels a little tamer than last night. There are fewer options for music, but that doesn't mean you can't get out and have a great time. At the Casbah, catch the Districts, a young band from a small town in Pennsylvania whose second album, "A Flourish and a Spoil," got the attention of Pitchfork and NPR. All four members are under 21, meaning they'll be hanging out in their van until their set, but all the more reason to show your support. Meanwhile, locals Beta Lion headline Soda Bar, Billy Joe Shaver and Dead Rock West rock the Belly Up. and the Merrow hosts Autumn Electric, a progressive rock band from Seattle.